NEW YORK, April 11, 2019 /PRNewswire/ -- Cold flow improvers are mostly sought after for their ability to avoid wax formation in process units and pipelines when fuel temperature lowers, especially in industries that depend on lubricants and oil & gas sectors. 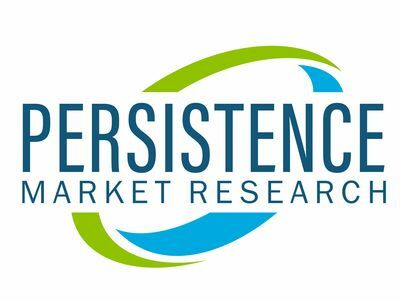 According to a new report on global cold flow improvers market published by Persistence Market Research (PMR), the market is estimated to witness a year on year (Y-o-Y) revenue growth of 4.6%, projecting to attain one billion dollar mark in 2019. The global consumption of cold flow improvers has been envisaged to surpass 300,000 tons in terms of volume by 2019-end. While Europe continues to maintain its dominance in the cold flow improvers market with an estimated volume of over 116,000 tons by 2019-end, North America is anticipated to record a higher year on year value growth of more than 5% each year following 2019. Europe's strong automotive industry, which is projected to cross a value of US$ 260 million in 2019, may directly impact the growth of cold flow improvers market in the region. Moreover, Europe is anticipated to account for 40% share of cold flow improvers market in the automotive segment over the forecast period. Among end-use industries, automotive sector is likely to contribute a revenue of more than US$ 260 million to the cold flow improvers market. Increasing automotive production and sales worldwide has been accelerating the demand for lubricant additives, which is subsequently pushing the growth of cold flow improvers market. Global sales of cold flow improvers is likely to gain speedy momentum in the coming years, with consumer shift toward premium quality lubricant additives for better engine performance. China, the world's leading automobile producer, is anticipated to present lucrative opportunities for key players operating in the cold flow improvers market who are focusing on improving their foothold in the emerging economies. Growing net vehicle parc and expanding fleet size are likely to be the demand driving determinants of cold flow improvers in China. Growth of China cold flow improvers market can also be attributed to significant economic growth along with robust development in the aviation infrastructure. Besides automotive sector, aviation industry is drastically thriving in China on the account of most favored low-cost business model which may be highly impactful to growth of various markets associated with airline fuels and lubricant additives including cold flow improvers market. Accounting for over 31% revenue share of cold flow improvers market by product type, polyacrylate is expected to maintain its supremacy throughout the forecast period. In terms of volume, total consumption of polyacrylate in Europe is foreseen to cross 38,000 tons in 2019, while North America takes the second position with consumption of more than 30,000 tons in the same year. Nature of the global cold flow improvers market is projected to be moderately consolidated, with regional or local players collectively accounting for value share ranging from 40 to 45%. This is followed by the leading companies operating in the manufacturing of cold flow improvers which are anticipated to register collective market revenue share within the range of 30-35%. Owing to their strong regional presence, local players will account for relatively high share compared to leading players in the global cold flow improvers market. In order to cater the ever-increasing regional demand, several companies producing cold flow improvers are focusing on expanding production capacity and manufacturing units in high demand regions. Further, they are targeting organic & inorganic methods such as M&A and joint ventures to strengthen their presence in the global market of cold flow improvers. In addition, emerging trends of adopting bio-based oils or vegetable oils as sustainable raw materials which not only help improve the environmental issues but also add cost and performance benefits will possibly impact the market growth.